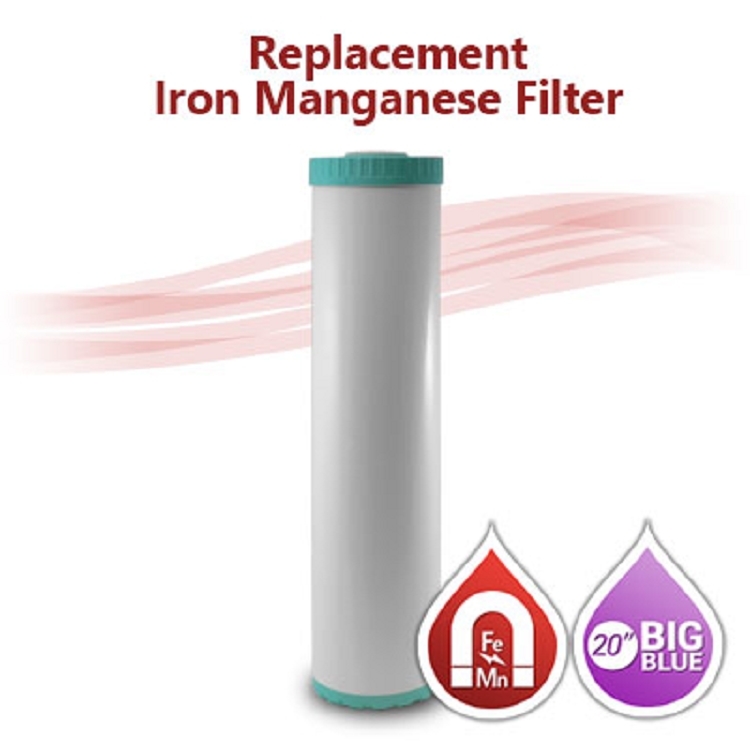 Big Blue Iron/Manganese Water Filter - size 20"x4.5"
Home > Water Filters > 20 x 4.5 > Big Blue Iron/Manganese Water Filter - size 20"x4.5"
Iron manganese media, used for removing soluble iron (Fe) and/or manganese (Mg) as well as hydrogen sulfide (H2S) from well water supplies, is a purple-black filter media processed from ceramic zeolite granule. 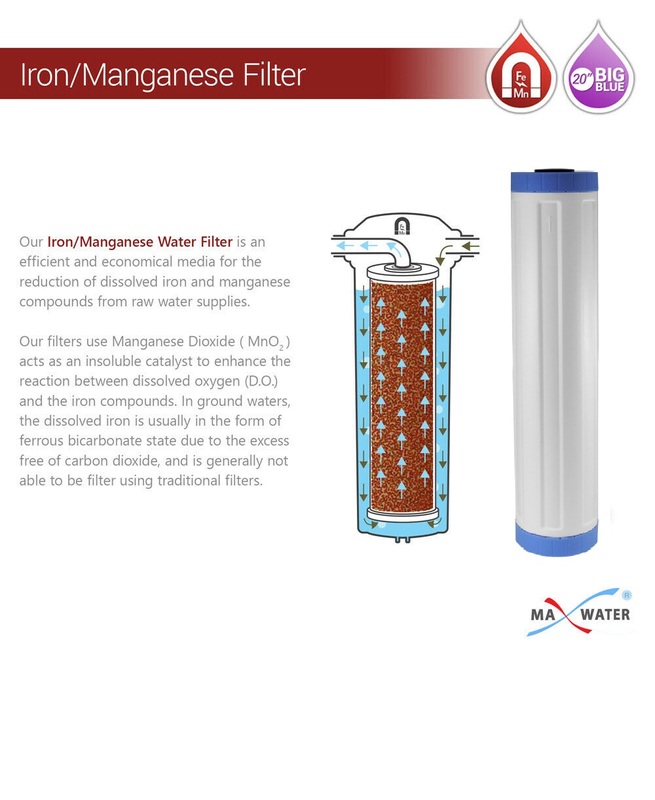 Iron manganese media can be used in a completely closed pressure system with no aeration or re-pumping, or in an open gravity filter system. The most common methods of operation are continuous regeneration, which is recommended for predominantly iron water. 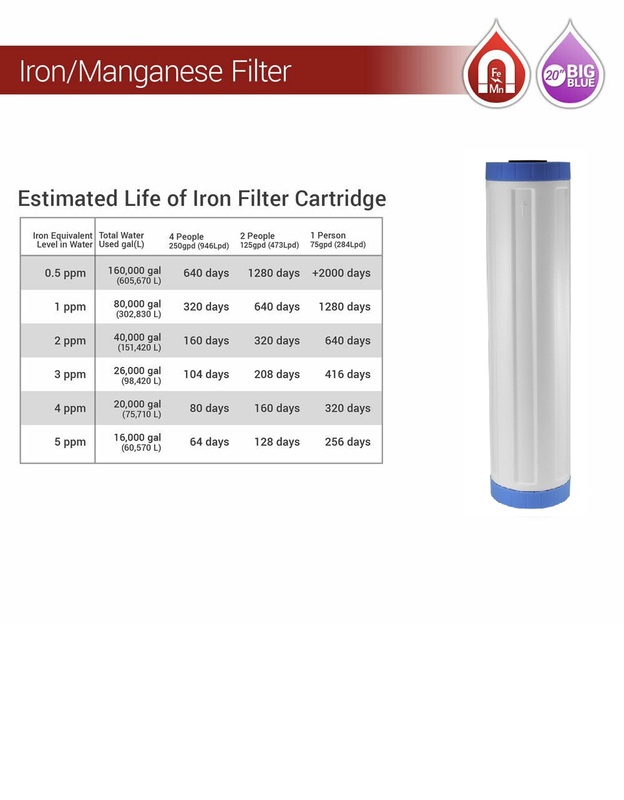 Important: Flush System after changing Iron/Manganese/GAC Filters to Remove Fines. 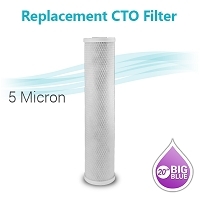 Please follow the following steps to prevent clogging and potentially damaging the filter. Step 1: After installing filters in the filter housings make sure that the outflow valve on the system is CLOSED. Step 2: Open the main inflowing valve HALFWAY to limit the incoming water while holding down one of the pressure release valves on the system to purge any air. Step 3: OPEN the outflowing valve as well as the faucet nearest the system for 5-10 minutes, or until the water runs clear, to flush any fines from the filters. Step 4: You're done! Turn off the faucet, open the main inflowing valve all the way, and your system is ready to go. Continuous regeneration:Continuous regeneration operation is recommended for well water where iron removal is the main objective with or without the presence of manganese. Briefly, it involves the feeding of predetermined amount of potassium permanganate ( KMnO4 ), usually in combination with chlorine ( Cl2 ), directly to the raw water prior to the unit containing Iron manganese continuous regeneration. The chlorine should be fed upstream of the KMnO4 with a contact time of 10 ~ 20 seconds if possible. Sufficient chlorine should be fed to produce the desired residual in the filter effluent. Enough KMnO4 should be fed to produce a “just pink” color in the filter inlet. This will maintain the Iron manganese n media in a continuously regenerated condition. Backwash: Sufficient rate using treated water to produce approximately 30% bed expansion. Rinse: At normal service flow rate for 5 minutes or until effluent is acceptable. Capacity: 350~500 g/m2 of bed area based on potassium permanganate demand. For iron/manganese continuous regeneration, a 70cm minimum bed of specially sized iron/manganese media is required. Pressure drop should not exceed 0.70 ~ 0.85 kg/cm2. Flow rate: Normal flow rates with continuous regeneration operation is approximately 5 ~ 12 m/hr. Higher concentrations of iron and manganese usually require lower flow rates for equivalent run lengths. Rates in excess of 12 m/hr can usually be tolerated but a pilot unit should be operated to determine the effluent quality and run length. Example: What is run length on a water containing 1.7 mg/L iron and 0.3 mg/L manganese at 10m/hr operating rate? Therefore the backwash frequency is approximately every 20 ~ 24 hours of operation. Raw water having a pH of 6.2 or higher can be passed through iron/manganese media without pH correction; water having a pH lower than 6.2 should be pH corrected to 6.2 ~ 6.5 before passing through the iron/manganese media. 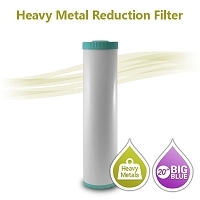 If a pH higher than 6.5 is desired in the water system, the additional alkali should be added after the filters due to the adverse react information of a colloid that sometimes occurs with the iron and alkali with pH over 6.5. KMnO4 solution strength: With continuous regeneration operation, the KMnO4 can be any concentration up to 30 g/L. Ingestion: Non-toxic. Large oral doses may cause irritation to the gastrointestinal tract. Skin Contact: Not expected to be a health hazard from skin exposure. May cause mild irritation and redness. Skin Contact: Immediately flush skin with plenty of water for at least 15 minutes. Remove contaminated clothing and shoes. Wash clothing before reuse. Thoroughly clean shoes before reuse. Get medical attention if irritation develops. Special Information: In the event of a fire, wear full protective clothing and NIOSH-approved self-contained breathing apparatus with full face piece operated in the pressure demand or other positive pressure mode. 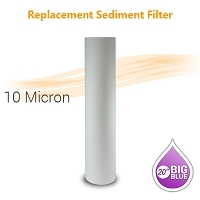 Pleated Water Filter 10 Micron, size 20"x4.5"
CTO Carbon Block Filter 10 Micron size 20"x4.5". 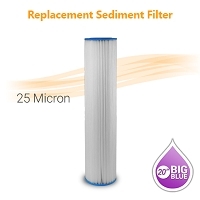 Spun Polypropylene Sediment Filter 10 Micron, size 20"x4.5"
Pleated Water Filter 25 Micron, size 20"x4.5"